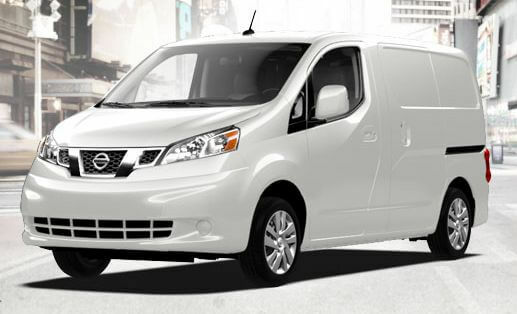 "The Nissan NV200 is now available in San Diego at Mossy Nissan locations in El Cajon, Kearny Mesa and Oceanside. Mossy Nissan also offers great commercial vehicle financing! Don't wait! Contact Chris Vedenoff in North County at cvedenoff@mossy.com or Karl Kirker in South County at kkirker@mossy.com." Business moves fast and the new Nissan NV200 Compact Cargo van is built to give you the flexibility to keep up. Imagine the power and durability of a commercial moving van combined with the compact size and maneuverability of a minivan. That's what drivers can expect from the new Nissan NV200 Compact Cargo Van. This Nissan NV200 is built from the ground up to give you the flexibility to keep up with the fast-paced business environment. 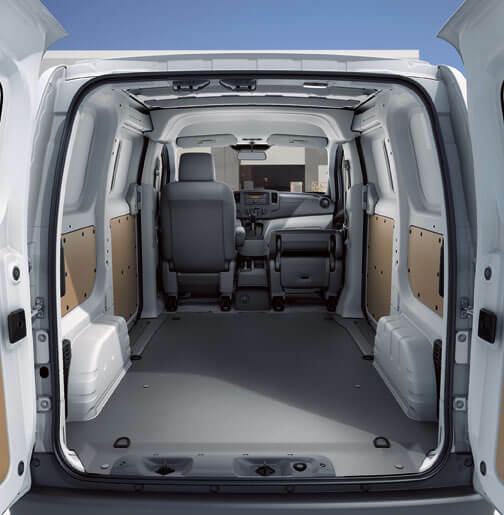 To help you load and unload items into the expansive cargo area, the tall rear doors are split 40/60 and open to 90° and 180°. For easier accessibility, there are sliding doors on each side. The interior has multiple amenities that allow the NV200 Compact Cargo to act as an office on wheels. And the smaller body is ideal for maneuvering around busy cities and tight parking spaces. 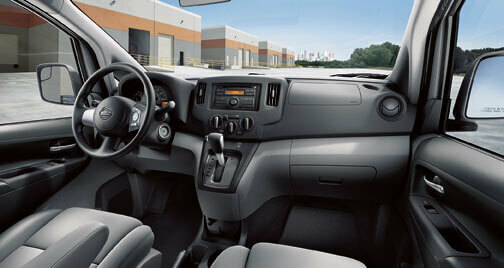 Like all of Nissan's commercial vans, the Nissan NV200 can be configured with an amazing array of interior features. It can also be customized to be a rolling workshop or an office on wheels with a real desk!